Darren Jiang, Daniel Yoo, Ethan Zhang, Sebastian Brumm, Andrew Yang were accepted for participation in the INTERNATIONAL ACADEMY OF MUSIC in Castelnuovo di Garfagnana, ITALY (Summer 2018). Click here for more info about the Festival. July 2012, Ruslan's STUDENTS collected 18 prizes (!!) 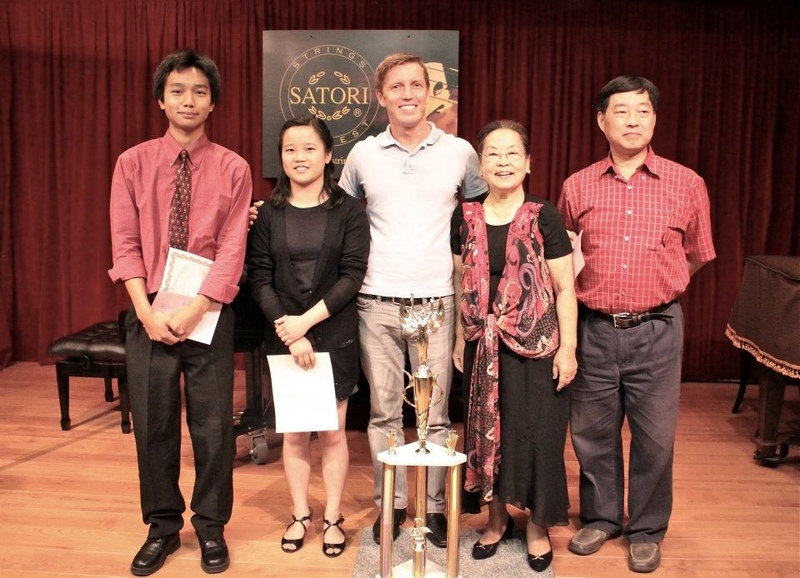 on Satori String Competition in Arcadia, including the Grand Prize which was awarded to Yurim (Rachel) Seo. 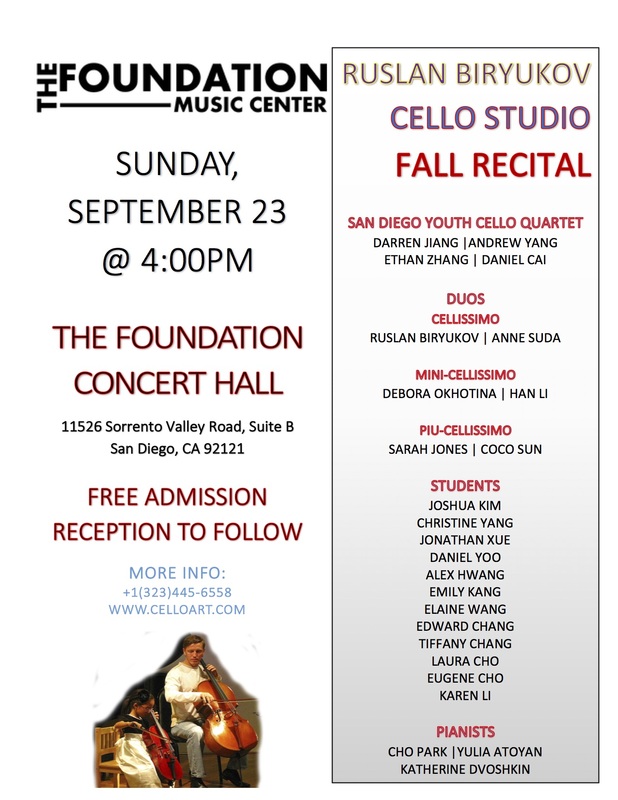 In addition Ms. Seo won Irvine High School Philharmonic Orchestra and Orange County Youth Symphony Orchestra (OCYSO) Concerto competitions. 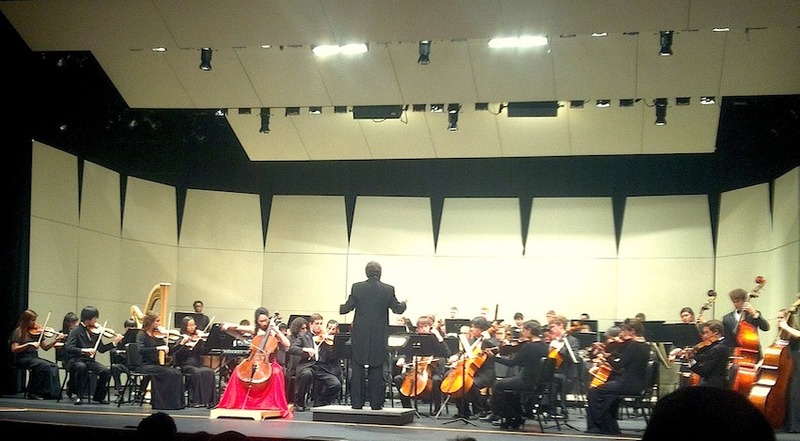 Ms. Seo will perform World Premiere of Cocnerto for 2 Celli by Brendan McBrien with Irvine High School Philharmonic on March 13 and 24, as well as Shostakovich Cello Concerto #1 with Orange County Youth Symphony Orchestra on May 19. Congratulations! 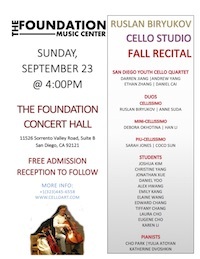 Ruslan's student MEAGAN WU won First Prize and Judges' Distinction Award in the 2012 Protege International Music Talent Competition in New York & Second Prize at the 2012 Golden Era of Romantic Music International Competitions. 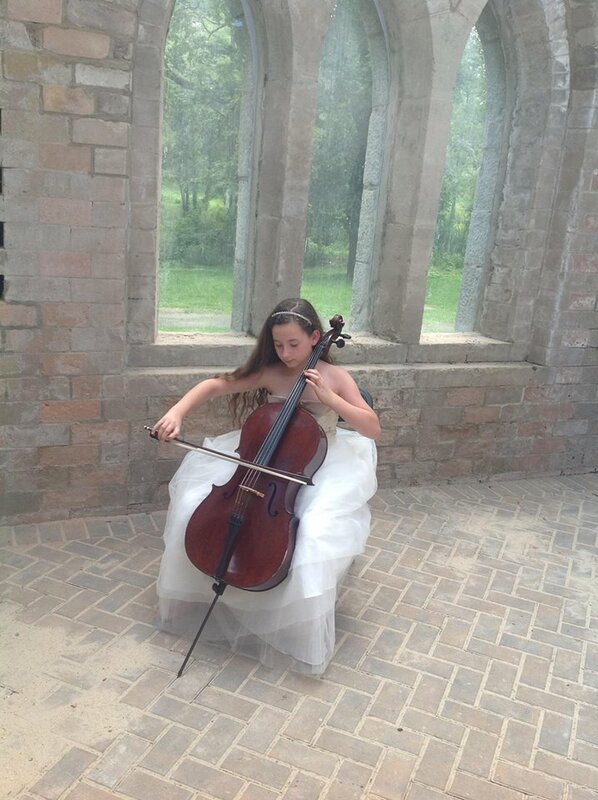 As a winner of the competition Meagan performed Shostakovich Cello Concerto #1 in Carnegie Hall, NY on April 8, 2012 and will perform Dvorak Cello Concerto at Carnegie Hall during 2013 year concert season. Also Meagan booked a European tour for the Summer of 2013. 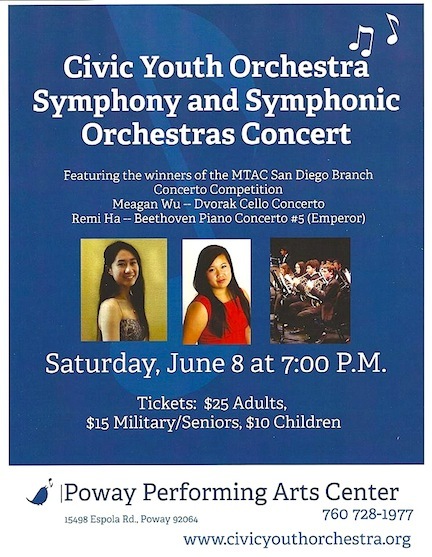 In addition, in January 2013 Meagan won Music Teachers Association of California Concerto Competition and will perform Dvorak Cello Concerto with Civic Youth Orchestra in Poway Symphony Hall,San Diego on June 8th. Congratulations! 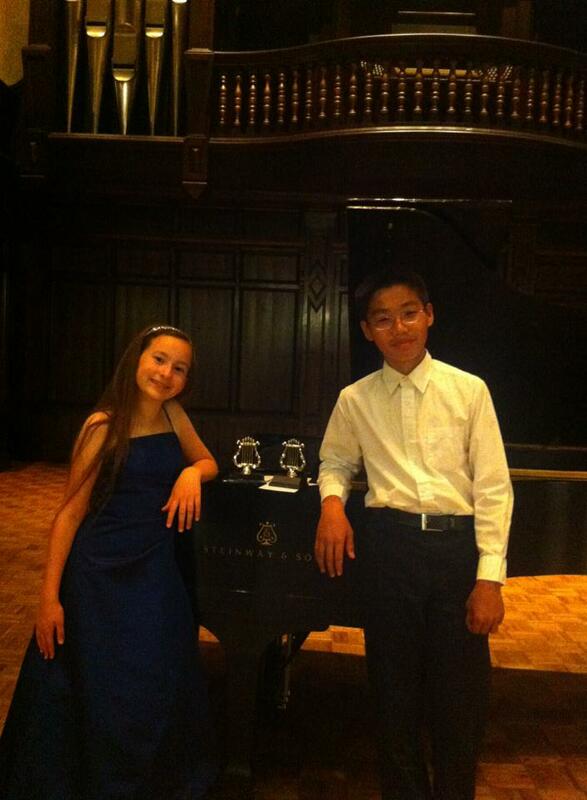 Students Zoe Gagne(9 yrs) and Stephen Yang (12 yrs) were accepted into Califonia Music Clinic in Cal State Fullerton (CSUF) and invited to take part in the International Mozat Academy European Tour in July, 2013 (Germany and Spain). 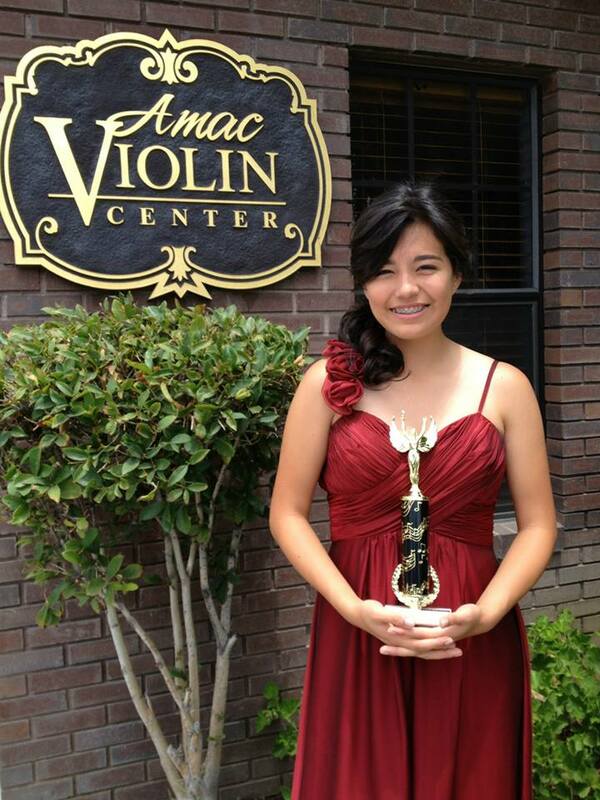 Student Emily Balderrama entered Cal State Fullerton School of Music on full scholarship to study cello performance with Professor Bongshin Ko. 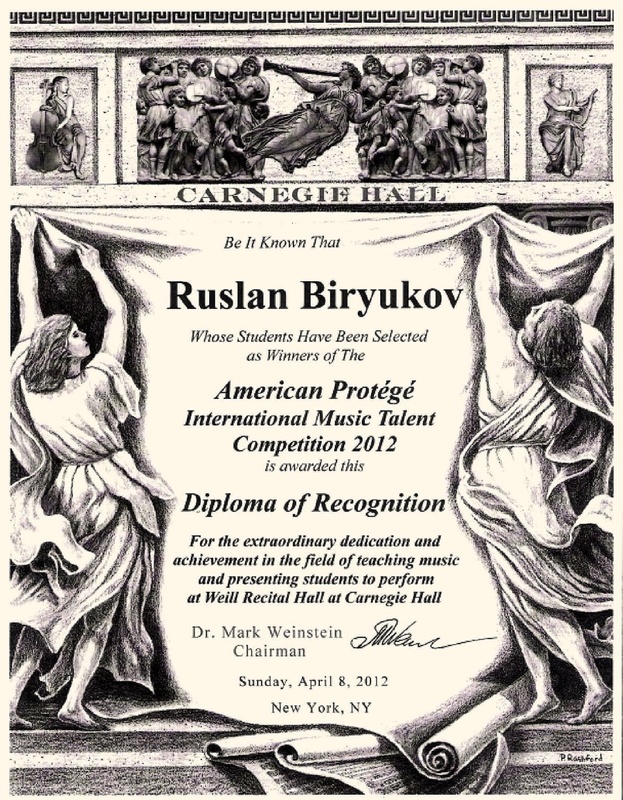 Ruslan was awarded Diploma of Recognition from the American Protege International Music Talent Competition in New York for the extraordinary achievemnts in the field of teaching music. Please click on the picture below to view the Diploma! 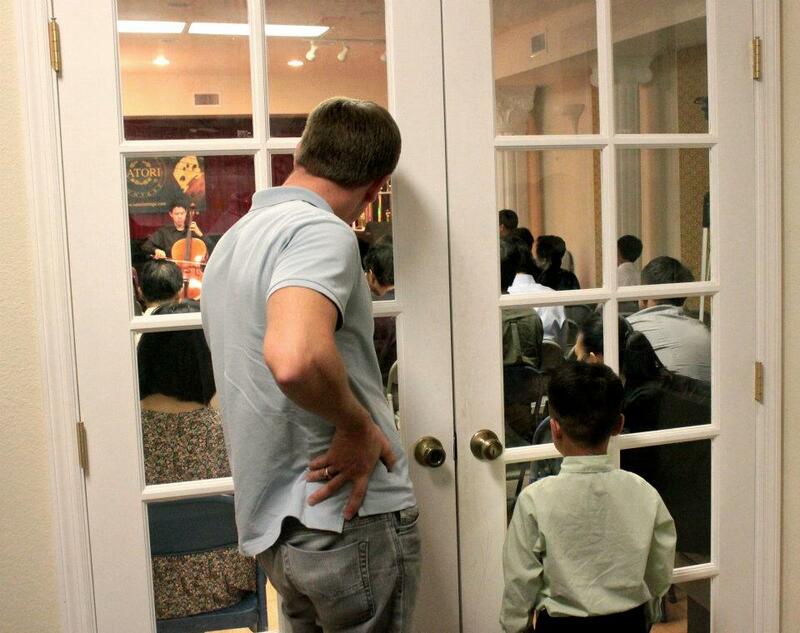 Please visit our CALENDAR for upcoming list of Ruslan's student performances.